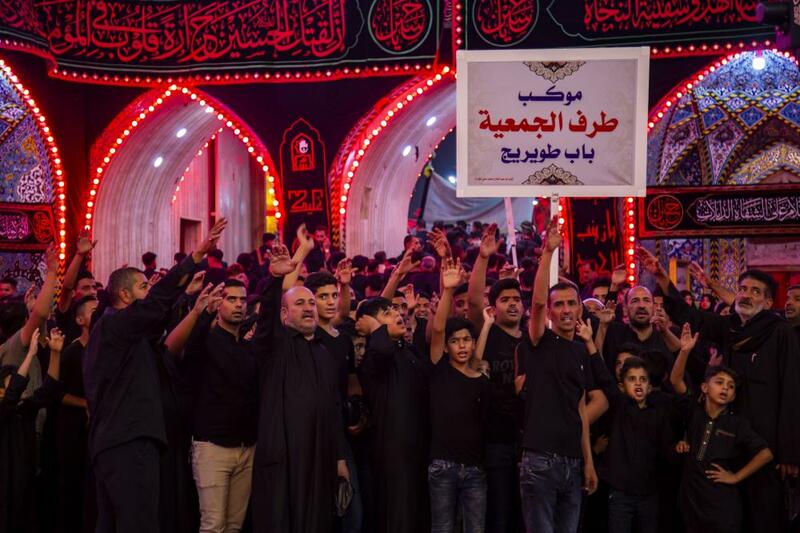 The processions of the Ashura condolences recall the arrival of Imam al-Hussayn (peace be upon him) to Karbala. 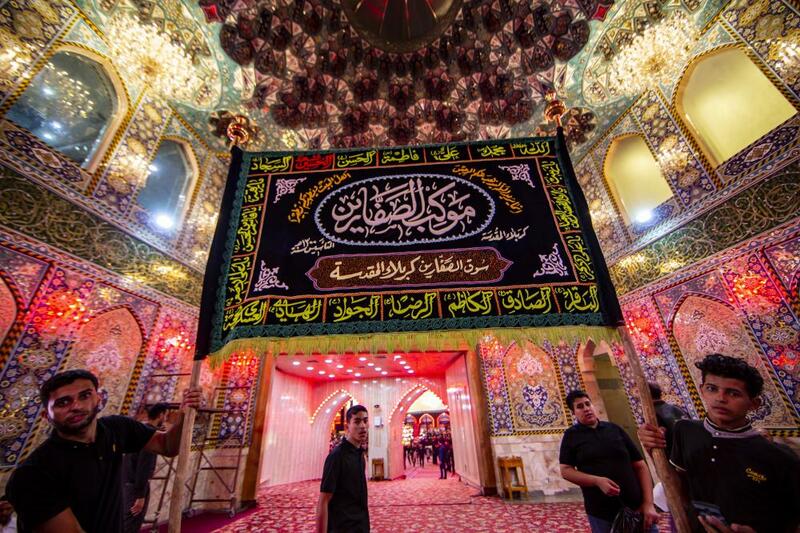 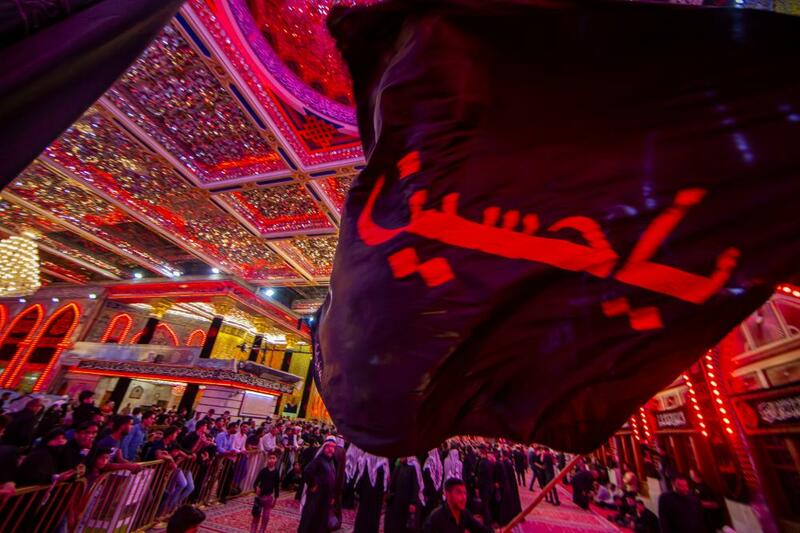 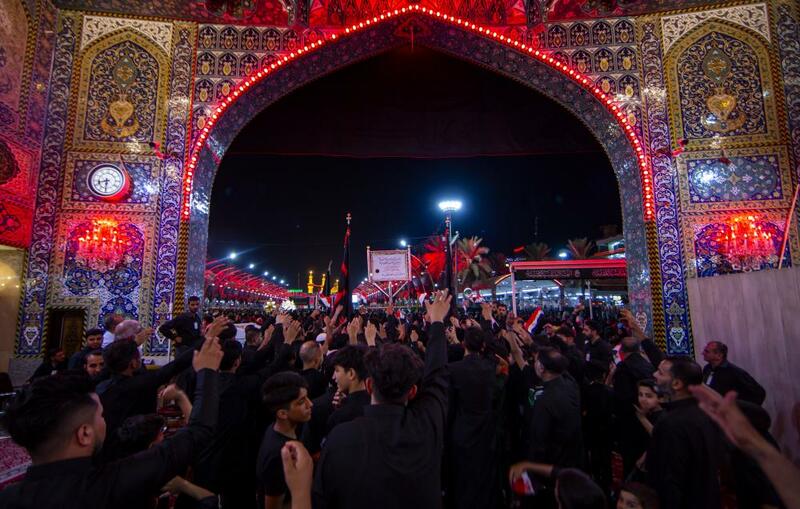 Since Imam Al-Hussayn (peace be upon him) went out from the city of his grandfather (Allah's prayers be upon him and his holy Household) until he arrived to Karbala, he passes through many villages along the way, but he has chosen Karbala [land of At-Taf] to install his tents, and it was on the second day of the sacred month of Muharram of the year 61 AH. 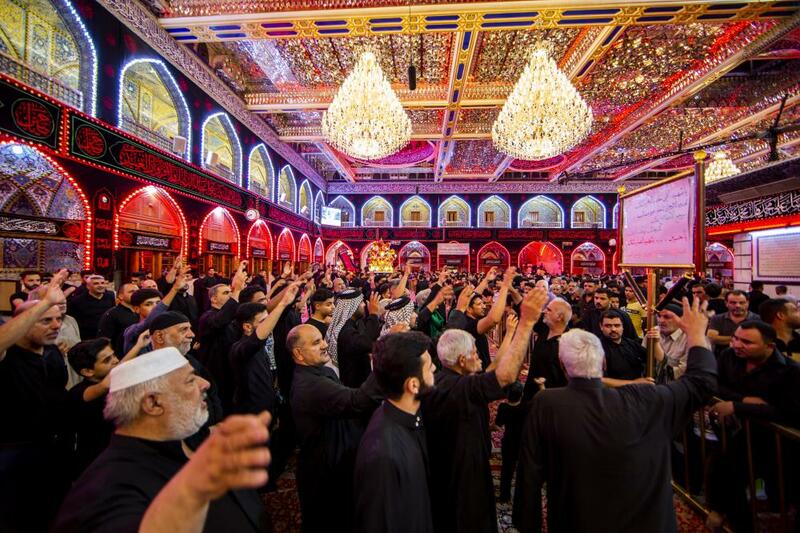 And to commemorate this anniversary and in continuation of the rituals of Ashura condolences launched since the eve of the first of Muharram, the condolences processions start their march to proclaim through it their allegiance to the Messenger of Allah and Ahl Al-Bayt (Allah's prayers be upon all of them) and their condolences to the Messenger of Allah (Allah's prayers be upon him and his holy Household) and to the Owner of the Order and the Time; Imam Al-Hujjah (may Allah hasten his holy reappearance) on the occasion of the martyrdom of the Master of the youth of Paradise, who has drawn with his own pure blood the path of freedom and dignity, and put the foundations and the bases of Ashura school and built around it a great fence to secure it against any fall. 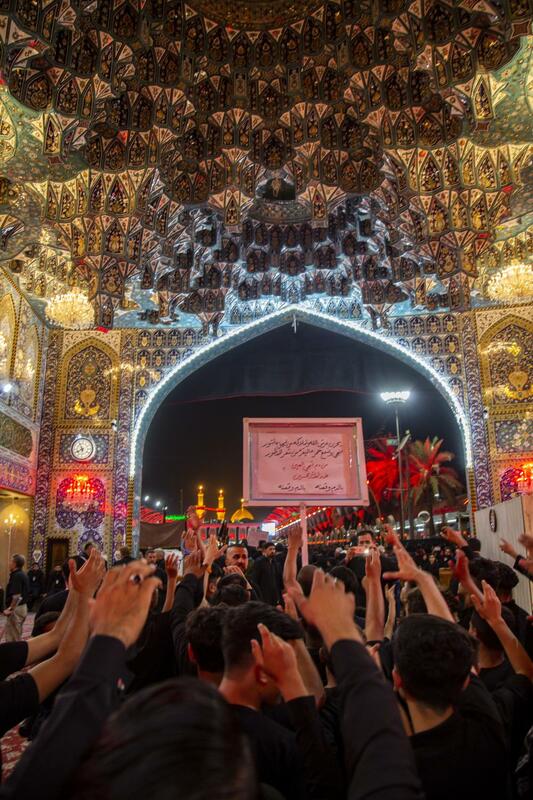 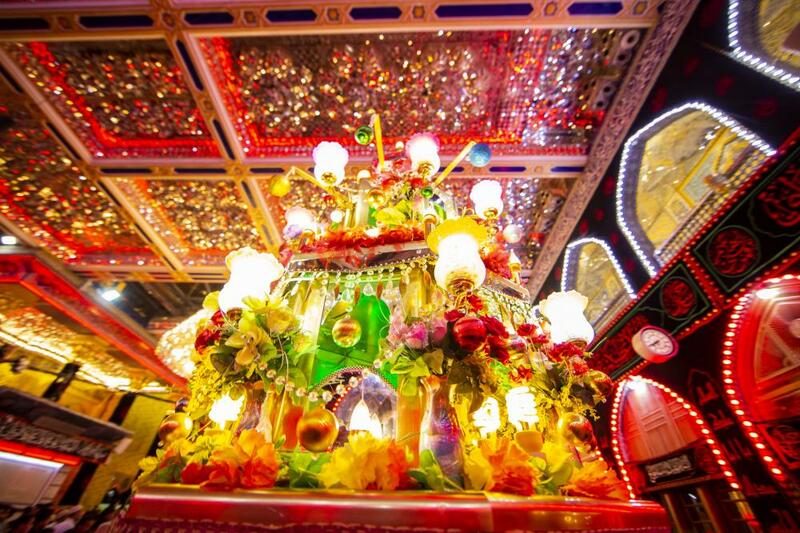 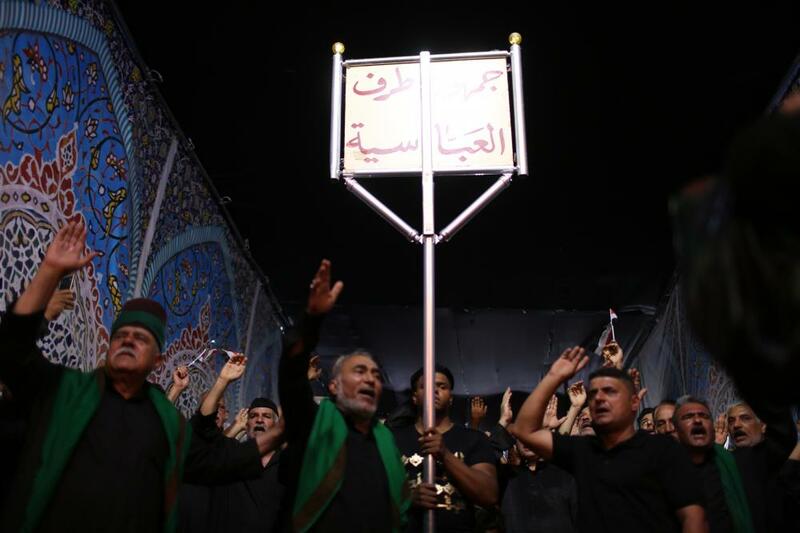 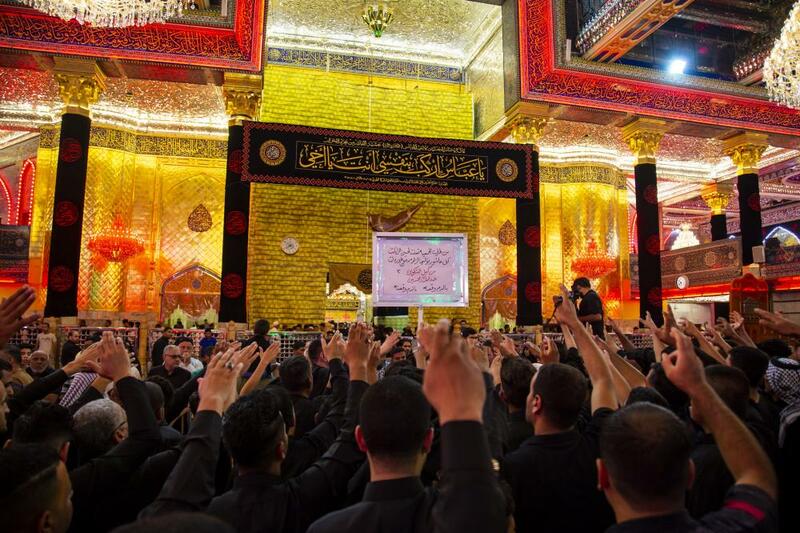 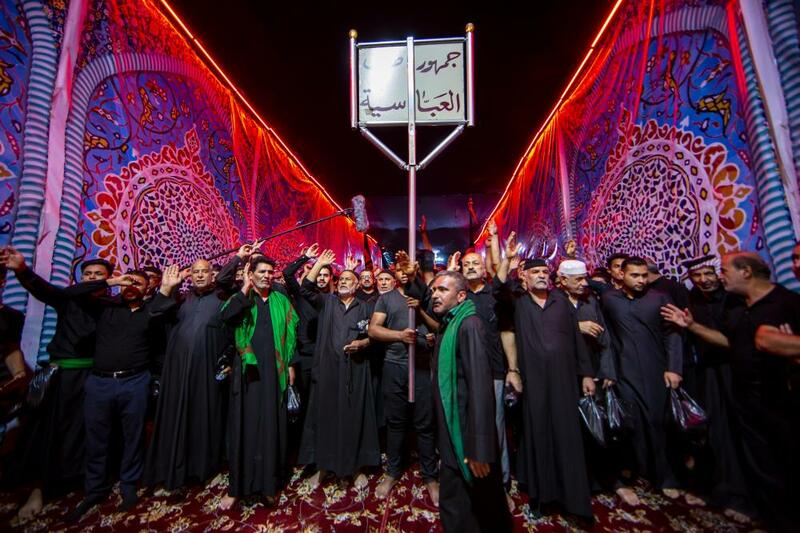 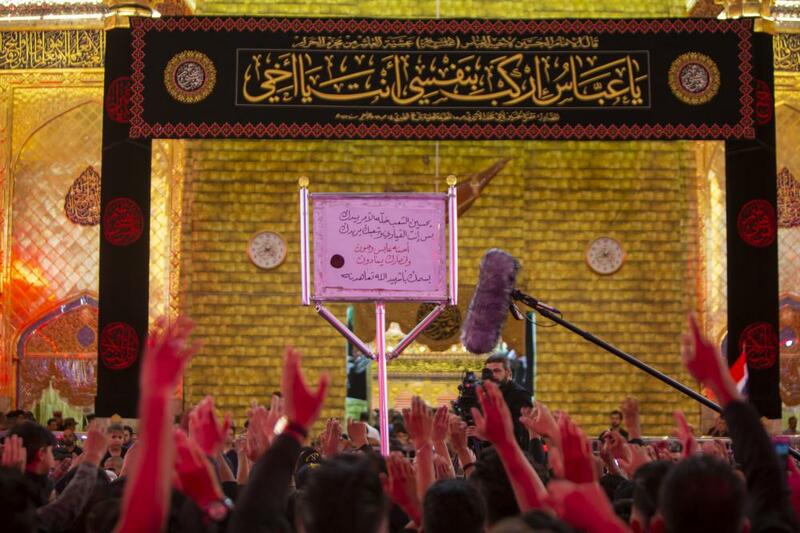 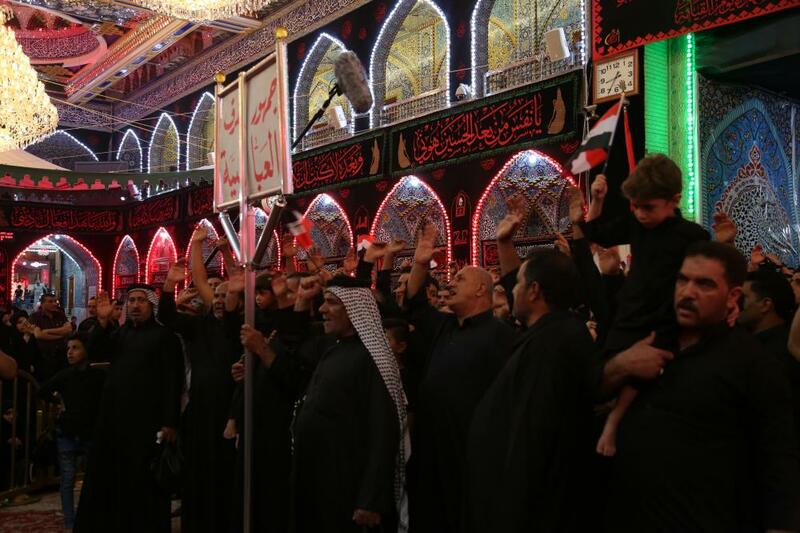 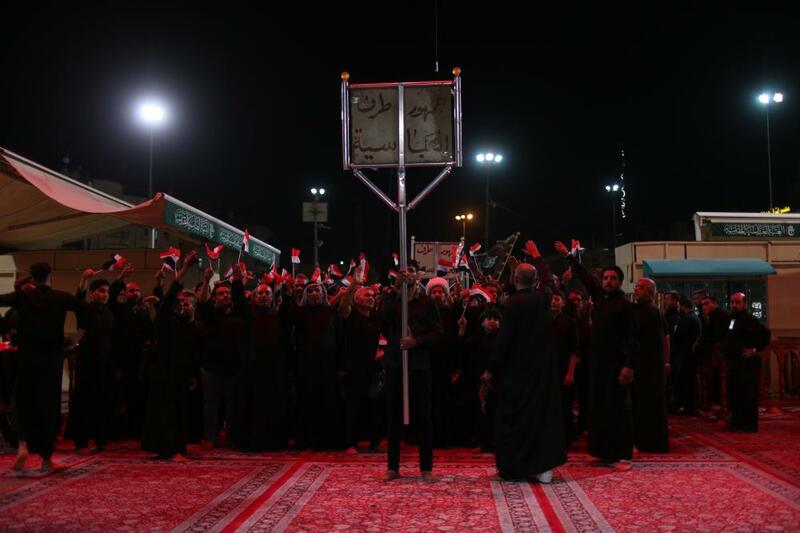 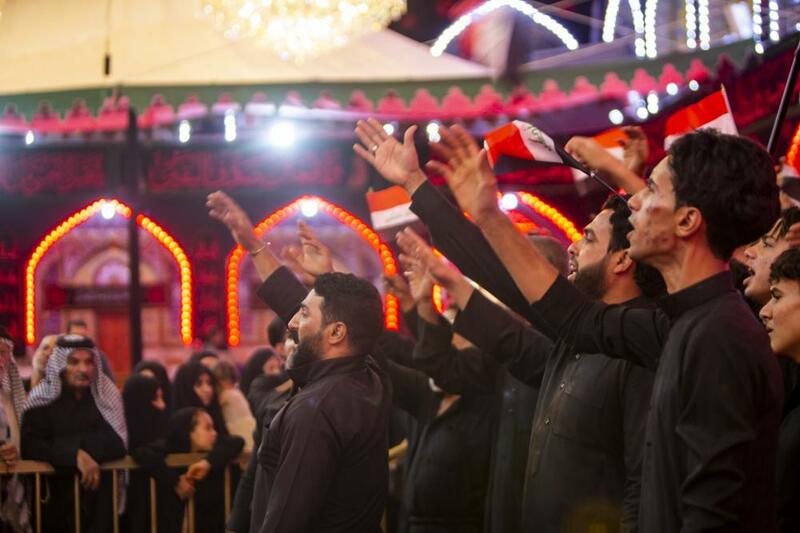 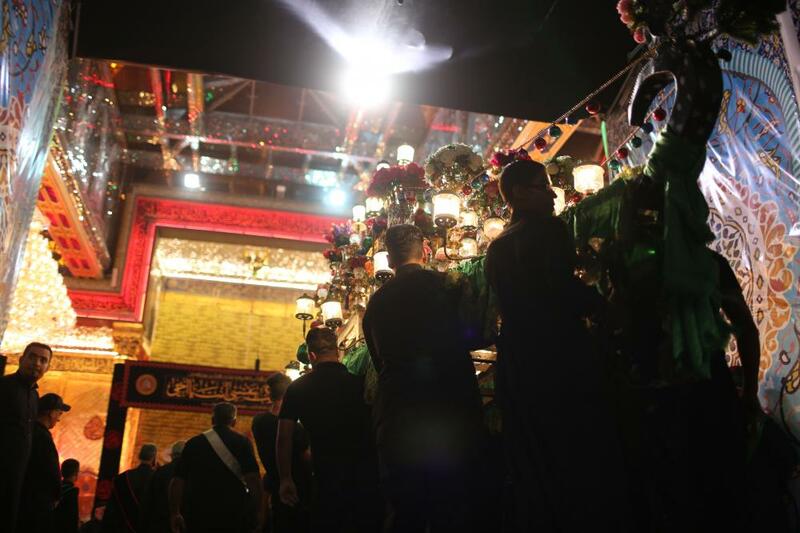 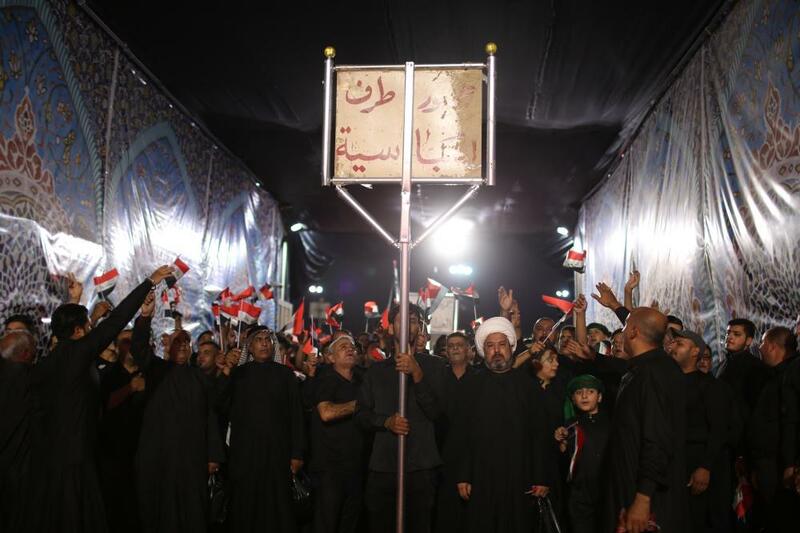 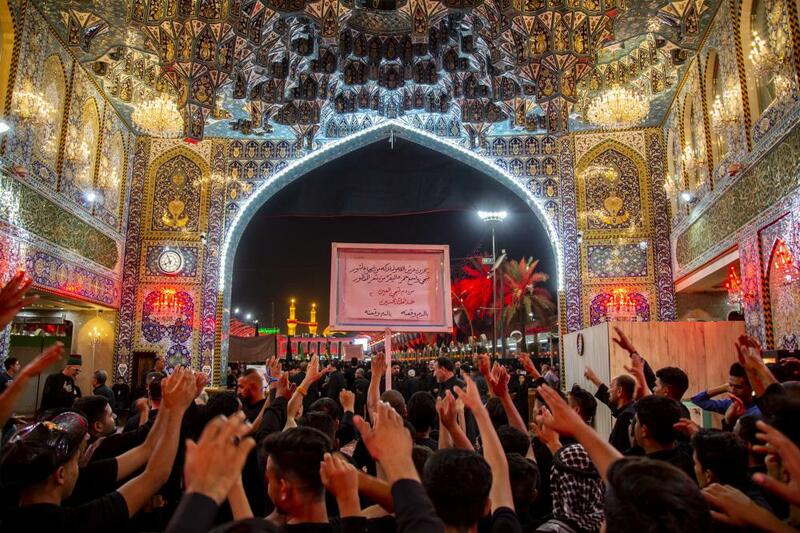 The holy shrines of Imam al-Hussayn and of his brother Aba Al-Fadl Al-Abbas (peace be upon both of them) welcomed the mourners and many processions according to a time and place schedule prepared by the Department of Rituals and Hussayni Processions of the two holy shrines. 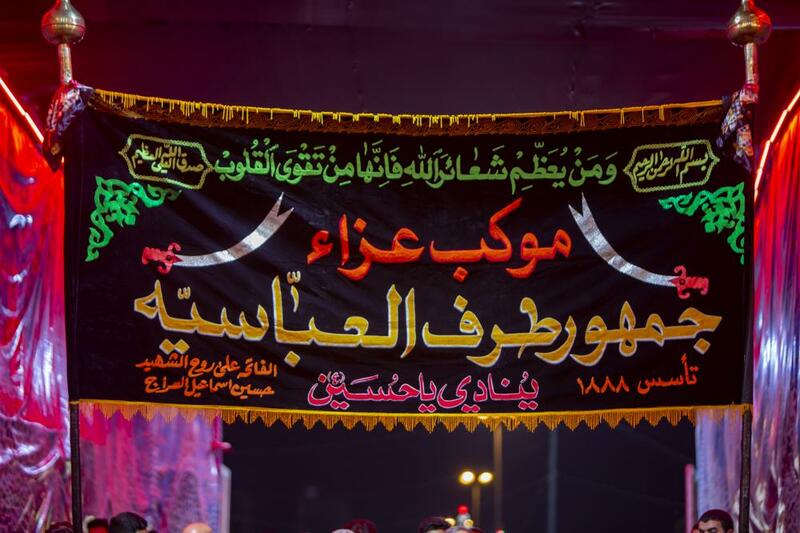 The condolences' processions carry flags and banners on which message slogans are written, representing the truthful and integrated call for the guidance and following the principles of Imam al-Hussayn (peace be upon him) that are based on the sacrifice, altruism and fighting the oppression, injustice and tyranny.